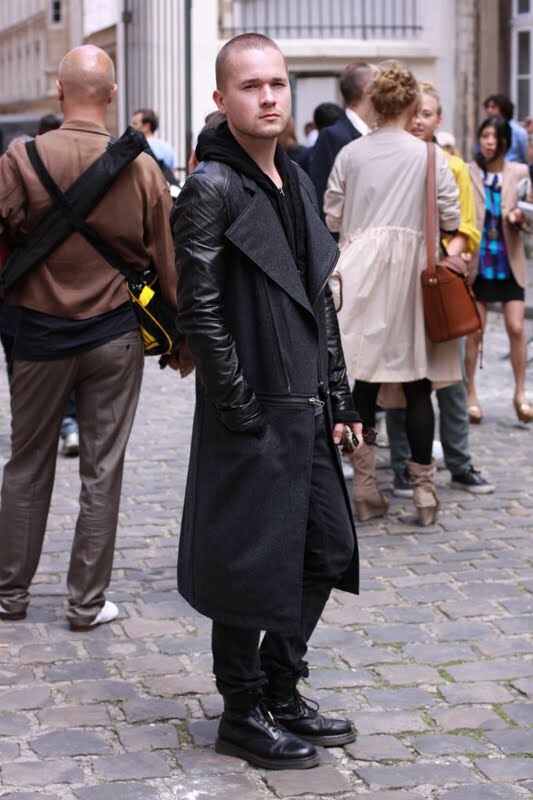 While taking snapshots for Status Magazine's Go See at the Ann Demeulemeester show I spotted this handsome guy wearing this amazing leather-wool combo trench coat with zipper details. After exchanging opinions on the shows we have seen so far I eventually asked him what he does for a living. 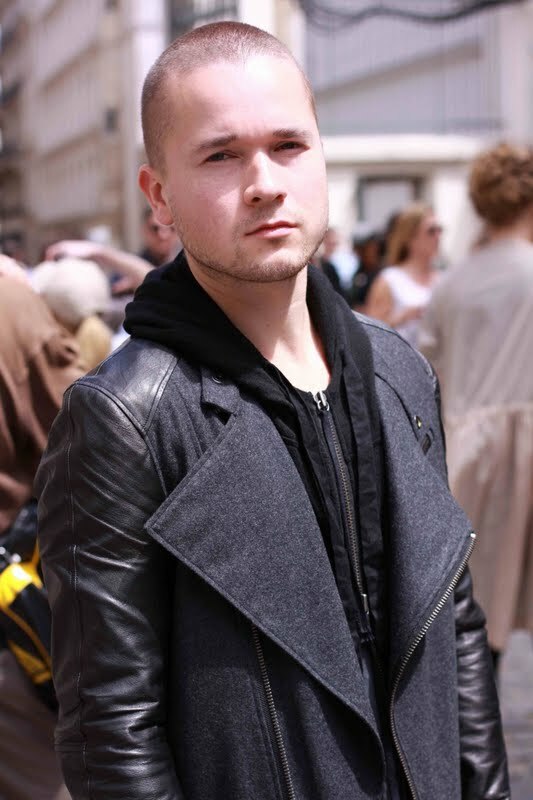 It turned out I was talking to Jean Phillip, one of my favorite Danish designers. That explains why he was so stylish. It amazes me how humble he was while he was passionately talking about his work. There was no air of arrogance at all. It was definitely a memorable encounter! I interviewed him but unfortunately my video camera was in the wrong setting. Anyway, I will be heading to Copenhagen Fashion Week this August. Hopefully, I will be given another opportunity to interview this brilliant designer! If you're reading this Jean/Phillip I just want to let you know that I heart your work. Continue making beautiful garments. Hopefully, one day I get to take home one of your pieces! Can't wait to see your latest work in Copenhagen this coming CFW! In the meantime here's a video and some stills I took of him. Enjoy!